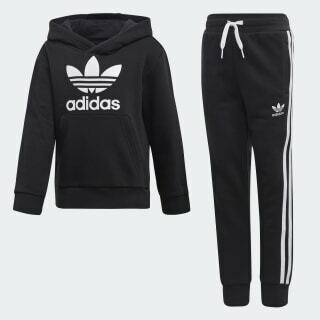 A sporty hoodie-and-pants outfit for kids. A classic sport look makes a fresh statement. 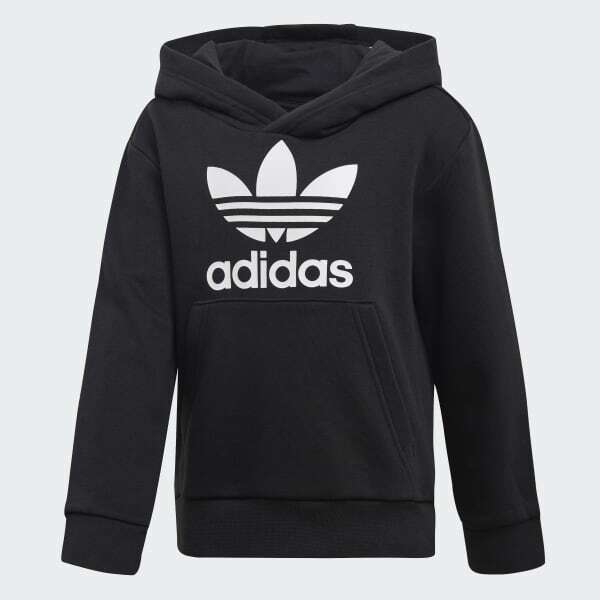 This kids' two-piece set shows off authentic adidas Originals style with a big Trefoil logo and 3-Stripes. The outfit is made of soft French terry for a relaxed and easy-to-wear feel.